Today was the opening day of the Zagreb wine Gourmet Weekend, a three day event to showcase not only the wines of Croatia, but also the foods. While there are now several regional events, this is basically the go-to event for the country if you’re interesting in any aspect of its gastronomy. I may be wrong, but don’t think that the event has been in the same venue two years in a row at this point. This year, it’s at the Glyptotheque of the Croatian Academy of Arts and Sciences which is building a scratch north of the main center, but still very walkable from just about anywhere. While a large building, it’s been something of an odd experience to really find everything. Registration was next door at the Kaptol Centar and the wineries are spread between two floors in two separate buildings. Thankfully with a couple of tastings under the belt, this all made a great deal more sense. So, what’s to be expected from an event like this? Basically, it’s a chance to taste the wines from all over the country in three days. The representation of wineries is solid, although there appear to be a couple that are missing. Maybe they’ll show up for the weekend. Suffice to say, today showed that those wineries who were great in the past, continue to be great today. Dingač (shown at the very top) was one of the more interesting wineries to see an update from. In the last couple of years, they’ve completely overhauled their branding to give a cleaner appearance to their labels. And, while they still have the same enolog, their wines somehow taste different than previously. They’re more refined, more deep. The Dingač – Dingač is especially noteworthy as it has taken on more buttery textures and is smoother than previous vintages. 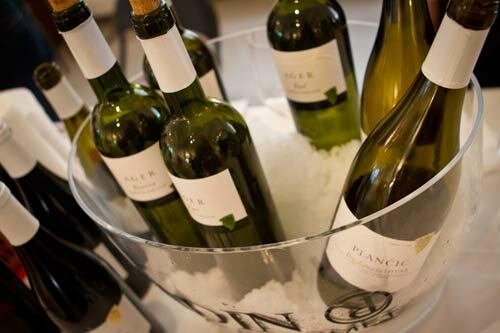 Plančić was wonderfully enjoyable to taste (pictured above). We’d not had a full tasting of their wines to date and their range of fully-native Hvar Island grape wines is not to be missed. 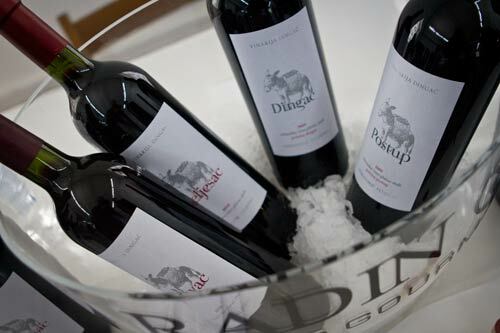 For whites, the Parč was really a stand out with its floral nose and herbal body. But, naturally, the big mamba was the Pharos Grand Cru. This blend of Plavac Mali and Darnekuša spends two years in the barrels and develops a nose of interwoven vanilla and licorice spices that ensnares you. Definitely not to be missed. Also not to be missed is Jako Vino. This group bought the old cooperative-era winery on the island of Brač in 2009 and have started to make some truly noteworthy wines. The top end of which is the Plavac Mali Barrique Majstor. Holy damn that’s good. It holds a wonderful balance of flavor aspects and while profoundly deep, you could easily have it with a meal. This is a huge departure from the old winery that was making respectable, yet basic table wines. Naturally, no list of all that is great at the event would be complete without wines like Alen Bibich’s new Bas de Bas and Ambra, but those, as well as the rest of his line deserve articles unto themselves. Same goes for Bruno Trapan whose wines will get a full write up later.